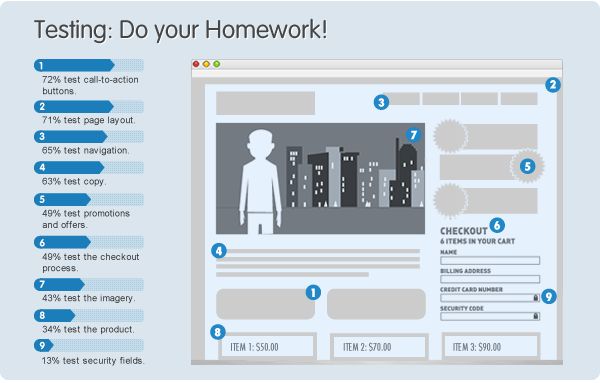 Landing Page Conversions: Do Your Homework! You've launched a website with landing page(s) for your latest product, and your hard work will pay off, right? You might be in for a real surprise. What's going on? It's not converting! A/B Testing – it's not just for scientists! 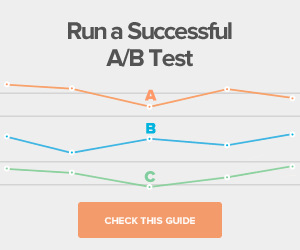 A major part of conversion success is what the industry calls A/B testing. Though it might sound bizarre and scientific, it's actually quite easy to perform, and it allows you to test specific areas of your landing page to see which style captures the most user interest by way of lowered bounce rates, and subsequent conversions. A/B testing tells you what variables bring in the most user engagement (conversions), and it's widely used in the marketing realm. 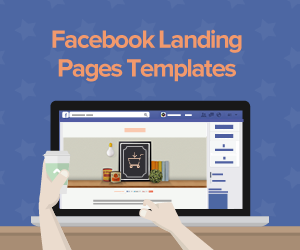 All you do is try two different versions of your landing page such as one web design vs. another or one headline compared to a different one. You can set your webpage up to randomly interchange the two designs, and keep track of which one brought in the most conversions. 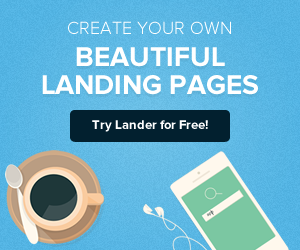 While it takes some time to do it yourself, a landing pages platform like Lander helps you get it done in just minutes, the payoff is huge! After all, you want to know what your target market responds to best. Psychologists have proven that certain colors affect a user's behavior in certain ways. Even the way your copywriter words things has a huge role in your webpage and the ability to secure conversions, whether they are in the form of email opt-ins, direct sales, comments given, links back to your site, or whatever else you are trying to achieve (convert). The key with A/B testing is to keep the comparisons to one aspect of your webpage at a time. The more specific you are, the more you test different combinations, the better your overall results will be. Don't treat A/B testing as an option; rather utilize it as a critical tool for your bottom line. It's time well spent. In the end, those who perform proactive A/B testing win out by securing new relationships, conversions and brand recognition. 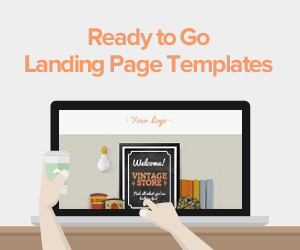 When you think about it, you can't afford not to test your landing page, and do it often. Marketing & Communications Manager at Doppler. She loves the latest trends in fashion, British pop-music and communications.